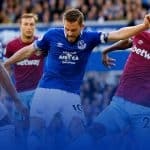 Midweek togger is back for a couple of weeks, not letting us digest the weekly edition of ‘Everton are tripe’ before it lashes presumably some more at you. Are you ready then? Nah, me neither much. Last game out was at Vicarage Road where we scored at a great time and then done the most predictable Everton thing of late of conceding in added on injury time. That’s one nasty habit we got to drop man. Like picking your nose and eating it. Or relying on one of them cash your dated cheque centres by the 16th of the month. Or not opening the window after you’ve been the bog the day after. Or promising your kid to take them to Formby beach on Sunday evening and then not being arsed and breaking his or her’s heart. Or watching Wrestling and admitting it when you’re a fully grown male. Or not standing to one side on the escalators when you’re standing still. That sort of thing really. 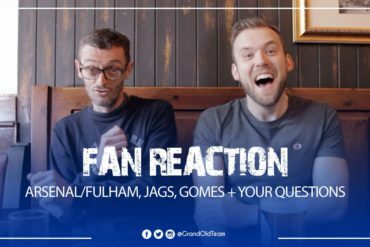 Anyway it’s clear pretty much everyone’s bored of this meek Everton, apart from the semi final bit, but even then you’re probably more arsed about the ale you’re about to consume, or the travel you’re about to embark on. Which doesn’t lead us nicely onto Crystal Palace but that’s who we’re playing at Selhurst Park on this brisk April evening. 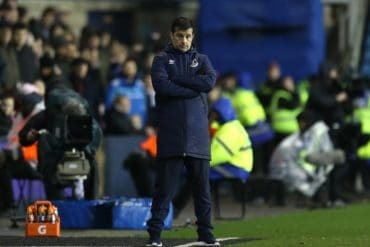 They’re having somewhat of a shitter – a la Everton – this calendar year after a promising start with what looked like a really well balanced and dangerous team. Mad that. There is a lot of that going on though with a traditional new manager bounce – key is finding someone who can make it sustainable. Or one day you’re gonna find yourself paying homage to Tim Sherwood, and no one wants that. Maybe we’ll have that on our plates soon? Anyway it’s not unfair to say that Alan Pardew deserves Zika and scrambling Powerpoints to apply for lower league jobs, the shrimp lipped shithead. They’ve a very decent set of fans Palace so get a rare walkover instead of very tired and cheap stereotypes that fall on the more odious of product Premier League followers. If that’s your thing I shouldn’t worry, Southampton and Liverpool are next. Adebayor – a figurative canary bird who should drop dead the moment your team sign him which then makes you realise you’re gonna get related in the next two seasons. Wickham – every third hank you see with sleeve tattoo, beard, crap kecks trying to desperately make out with their Friday night Tinder date so he can snapchat gash photos to his mates and stay in their self loathing gang. Jedinak – if any backpackers go missing and he’s within 30 miles of their last sighting then he needs to be the first person the good Detectives speak to. Dann – is he south end? He looks like he should be wearing Air Max and acting dead smug as he bevvies in the Fiveways, even though he’s got to get a taxi back to Speke. That’s about it for them. I fully expect them to turn it on against us as we have a softer underbelly than a two day old foal. So Everton then. Starting up front with Lukaku who has been off form for a few games and is surely only a matter of games away from “his head’s been turned” mutterings. That thirteen million lashed on a striker has been downgraded very quickly from “competition” to “replacement if he goes” to “standby”. And crueller things which I reckon is jumping the gun a little but occasionally amusing nonetheless. Deulofeu has a game to quickly forget and it seems a long time ago he was spreading all sorts of aceness on a plate for Lukaku to dispatch. 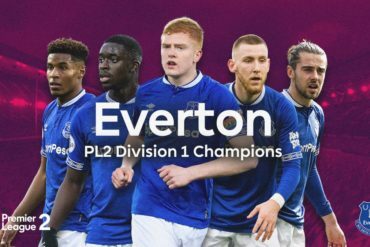 Lennon is struggling for some of that verve he had at the turn of the year, presumably haunted by being appointed to play a free role at Old Trafford for a lamentable Everton team. 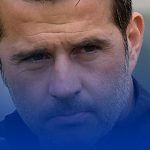 Mirallas is only ever a few minutes away from an injury, red card or chatting bubbles in the Belgian press, and Cleverley is not the answer at left midfield, or it remains to be seen where else at present. When Ross Barkley has a shitter it’s a real drag-him-off-before-the-fiftieth-minute shitter. In fact we could keep going on but it’s a squad that’s really struggling for any sort of form of late and that doesn’t bode well for a couple of important games ahead. What’s happening then? It’s hard to tell unless you’ve FBIed the changies or the very bowels of Finch Farm. It’s not like a crisis of the nineties but it’s all gone very flat. 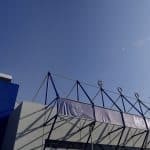 I was half expecting Moshiri to be exposed by the Panama Papers with tax swerving slush funds all over the show and Everton to be impeached by the FBI, however that could happen. So it’s lead to testing times with angst all over the show off the pitch and in the stands of the U21s. So, what’s been your phrase of the week? It’s just not good enough? For God sake he has to go now? The clown has lost the dressing room? I’m gonna swerve social media? It’s a bit BBC Points Of View or a hastily wrote complaint letter to Virgin Trains. But a tip of the cap to the lads who done an Everton protest in the time served manner of a simple blue and white banner with their message and no drama. You kept up a long tradition of Evertonian angst portrayal in the right way. There’s a double header just on the horizon of an Anfield derby and a semi final at Wembley, with a not too nasty final opposition on offer. Our opponents for this game could be one of them. I hope the toxic air around the club is eased up for that, our players have shown they’re none too good at handling pressure without lashing heaps more on them. The poor lambs. Summer is coming, everyone knows the fanbase is unhappy, let’s see what happens. I even seen a serious call for white handkerchiefs – as though we’re some rabid Basque ultras. I mean come on. Stop and think of that for a moment, and let it sink in. Go and get another sleeve tattoo if you’re thinking of something a little out there like planes, ringing Talksport to fume or waving a white handkerchief at Goodison. The needle pain will take your mind off it for a second sufficiently to calm down and instead rightfully choose to get a can of graffiti and spray your message on someone’s wall. Or even Goodison itself if fancy a streetlight lit adventure and your work being retweeted to death the following day. Grab the moment man, it’s yours for keeps. Or boo at the final whistle and let those in the main stand be under no impression that the football team of your heart is on a horrendous run of results and another season of it would not be enticing. That’s worked sufficiently before pretty much every time. Apart from that one time with Walter Smith where, well, you know, it dragged on a bit. Don’t reckon this one will unless something drastic happens. Anyway, there’s a point in there somewhere. Until next time – or Saturday at home to Southampton – hope things fare better for you, for me, for Everton.